Happy Monday! We just got back home from Country Living Fair, and even though I am writing this a week early, I bet we're exhausted. Ha! It is always such a wonderfully exhausting process being a vendor at an art show, but so worth it every time. Now that autumn is approaching rather quickly, I wanted to share some posts from years past with you! The thing about blogging is that you feel the need to constantly create new content for your space, but your old content can still live on! In fact, some of the first posts I ever wrote here are still some of most frequently visited posts by our readers! You guys really like making herbal bath teas, apparently!! 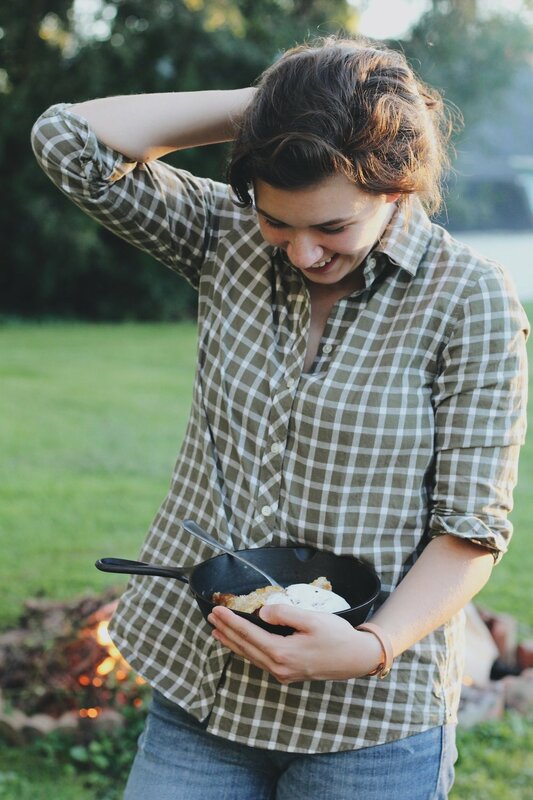 I wanted to share some past recipes that I think are perfect for the harvest, some fun fall activities, and more! We've changed and grown so much, which is really just fascinating for me to look back upon. If you're new around here, this might be a nice post for you to learn more about us and see everything we have to offer! I also wanted to share a new playlist with you. I should probably share these more often, and it's nice that I share Instagram Stories often, because I like to have music playing in the background! 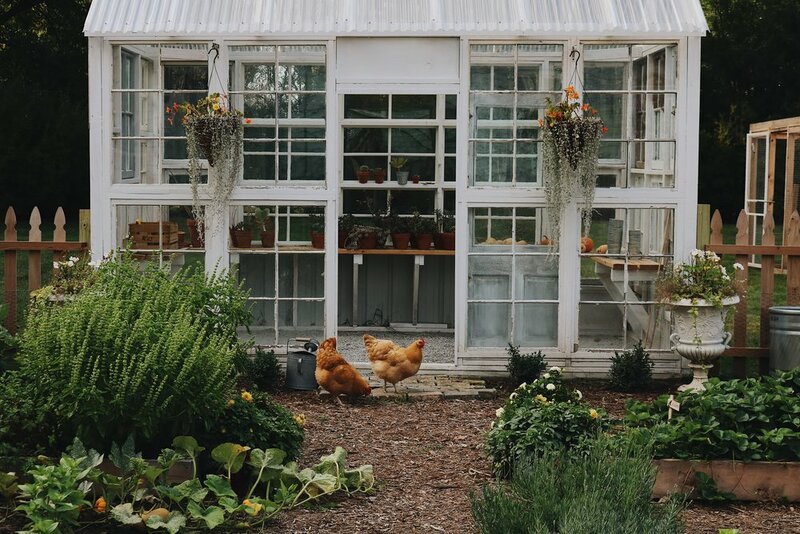 I get a lot of questions about what we're listening to, so here it is: Autumn on the Homestead | A Harvest Playlist! It's hard to believe that this time last year we didn't have a garden or a greenhouse! It somehow seems like it has always been a part of our home, but no, this time last year we were out apple picking! Yay! Picking our own apples it one of my absolute favorite autumn activities. I think it's something everyone should experience! We love spending a handful of days out of the season out at the orchard just enjoying the beautiful landscape and munching on apples. Did you know that last year we had a super fun hashtag challenge? It was a blast! I decided to bring it back this year on Instagram. 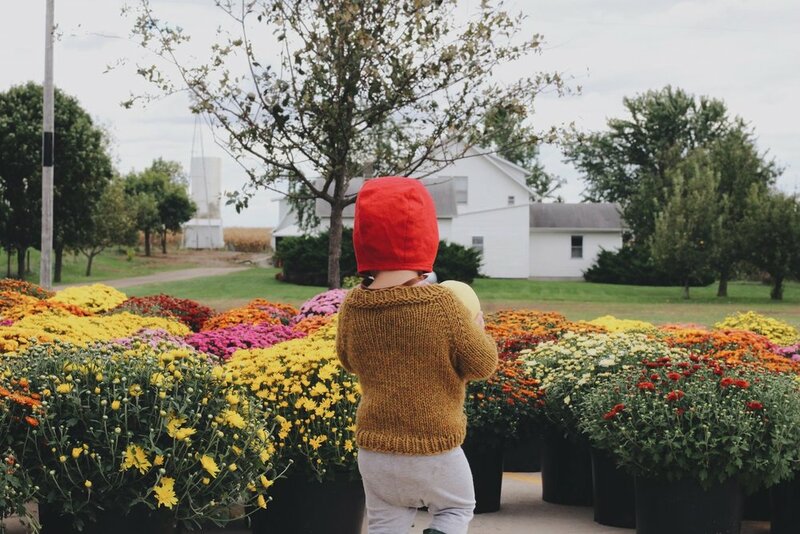 If you end up going apple picking this year, snap a photo and share it to your Instagram account. Use our hashtag #underatinroofapplepicking and we'll pick our favorites throughout the month of September to win $10 off their next order! It's really easy, and we love seeing your photos. Definitely check out the hashtag as well to see what everyone shared last year! I think I'll probably keep up with the monthly hashtags again and into spring, too. I need to be better about that! Looking for a fun and incredibly easy craft to try? 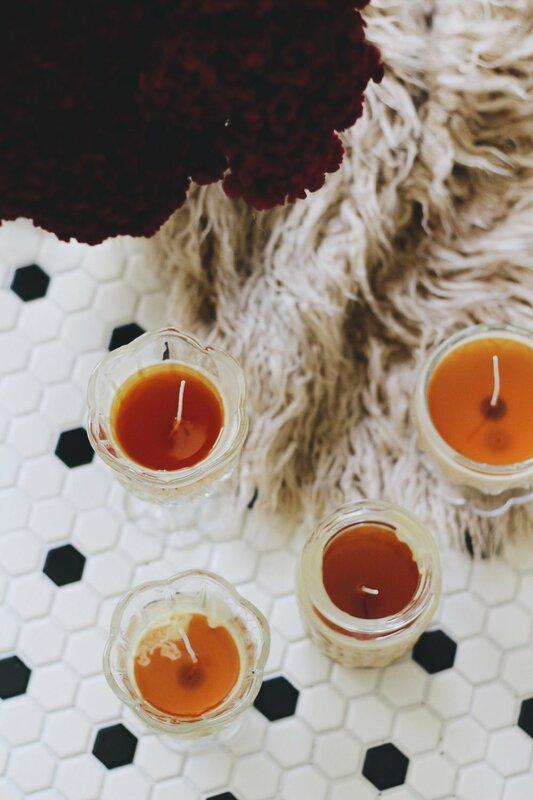 Last year, we poured beeswax candles to start off autumn right and shared why they are AWESOME. Did you know that burning pure beeswax actually purifies the air? Yeah, it's awesome. I wrote more about the science behind why this happens within the tutorial, so check that out. 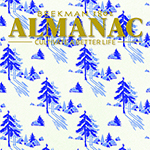 Need to get your hands on some beeswax? Try this organic kind. And these are the wicks that I use! When I become famous and write a cookbook, that can be my bio photo - BAHA! 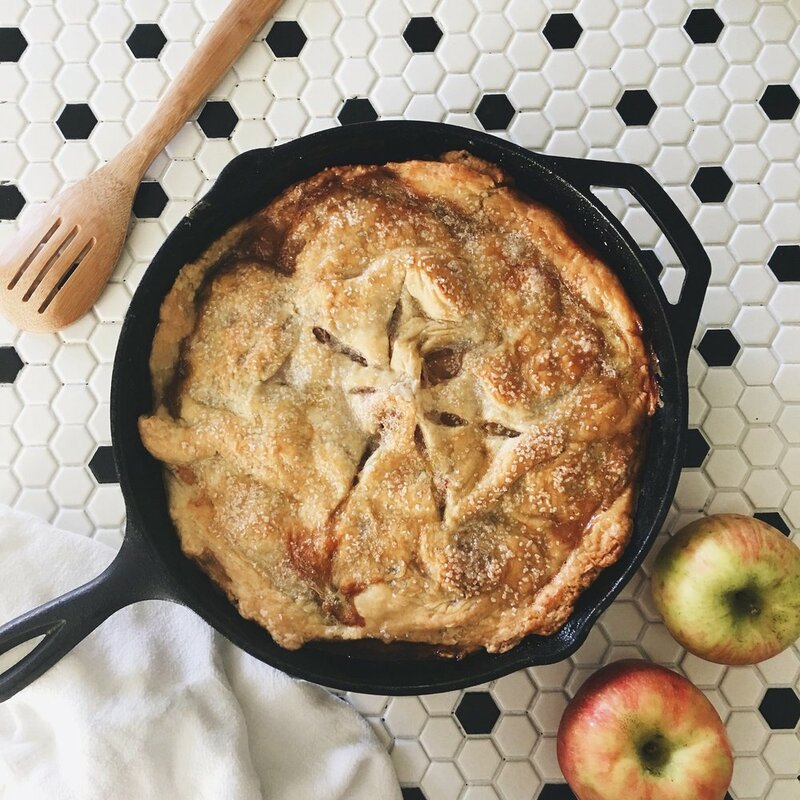 I made this skillet apple pie last September, and it was awesome! Our family friends still make this pie every now and then and share it with us. So cool! I really loved how carefree and easy this pie is to make. I'd like to try baking it over an open flame sometime. If you end up going apple picking, use some of your pickin's for this recipe! 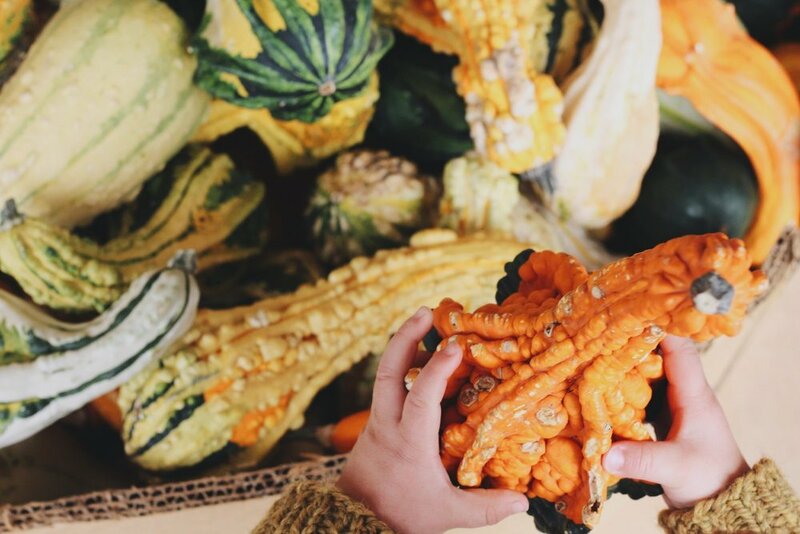 It was pretty interesting and a little funny finding this old post about eating seasonally! Little did we know that we would be doing just that without having to really try. 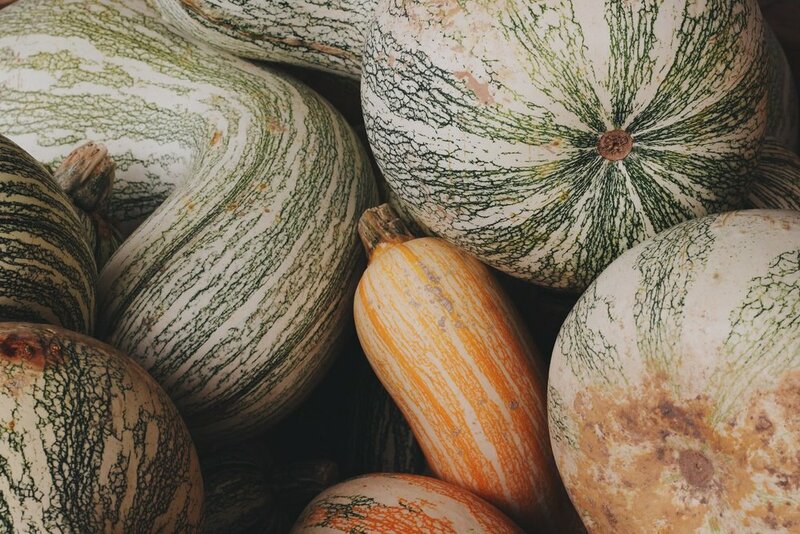 I read a great post the other day on Twentyventi's blog about how living more sustainably for their family meant eating things in season. It's really resourceful if you're looking to live a more waste-free lifestyle - we love being able to try it ourselves! Anyway, by eating produce that is local and in season, you can reduce waste by purchasing less prepackaged items. I like that! I also love that by eating seasonally, you're left with less overspending, less wasteful produce (things you cannot eat fast enough that go bad), and trying to figure out meal plans when you have too many options. I don't think I've ever been forced to be as creative in the kitchen as I have been when growing our own food. You get a lot more of one kind of produce when you grow a garden, like zucchini for instance. We went through a lot of zucchini, but that meant I could either let it go to waste (which we did with some things) or try and figure out new things to make with them. I learned so many new techniques and meal ideas for our family! When you're working with less, you create more. Fascinating! Looking for what's in season? Check out our post from last year! Anyone else ready for a trip to the pumpkin patch?! It's still a little early, but I am already wanting photograph all of the pumpkins. All of ours are ready to pick and cure. Can't wait to make all sorts of recipes out of our sugar pumpkins this year and experiment. I have a lot of plans for our series Colonial Kitchen this autumn and winter. Can't wait to share more! Colonial inspired recipes were difficult for me to tackle during the warm weather, but I am up to challenge as it gets colder. I am actually just really excited about the direction our brand is going in the year to come. More time to grow! (: Don't forget to the use the hashtag #UATRpumpkinpatch to win that $10 off our shop!